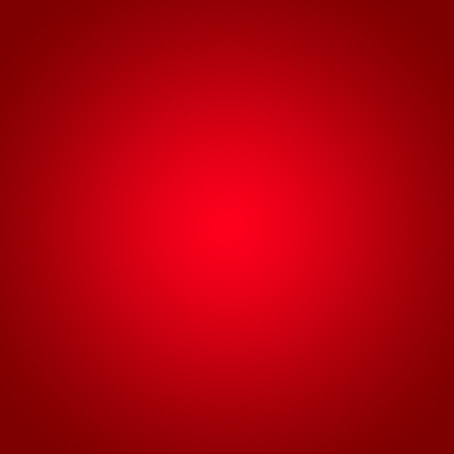 and new technologies at the service of versatility. 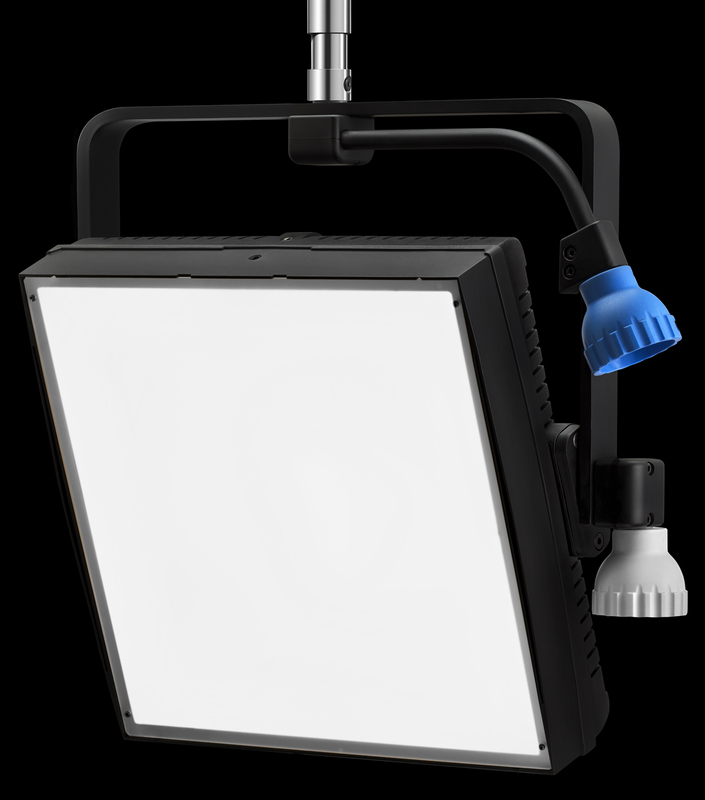 All Lupo products are developed considering - first and foremost - robustness and quality in every detail, but it is also essential for us that the on-set use and transportation of our lights and accessories be quick and easy.  That’s why we have worked on the development of bodies in reinforced technopolymer which are considerably durable whilst allowing to reduce the product’s final weight. The requests and feedback of film makers, photographers, video operators, and TV studios, but also of companies that rent equipment has helped us immensely in this process. that you have always desired for your set. The new Superpanel Full Color range provides you with a range of warm and cold white colours from 2800 K to 10000 K with an excellent colour rendering in all hues (95, average CRI and TLCI value). 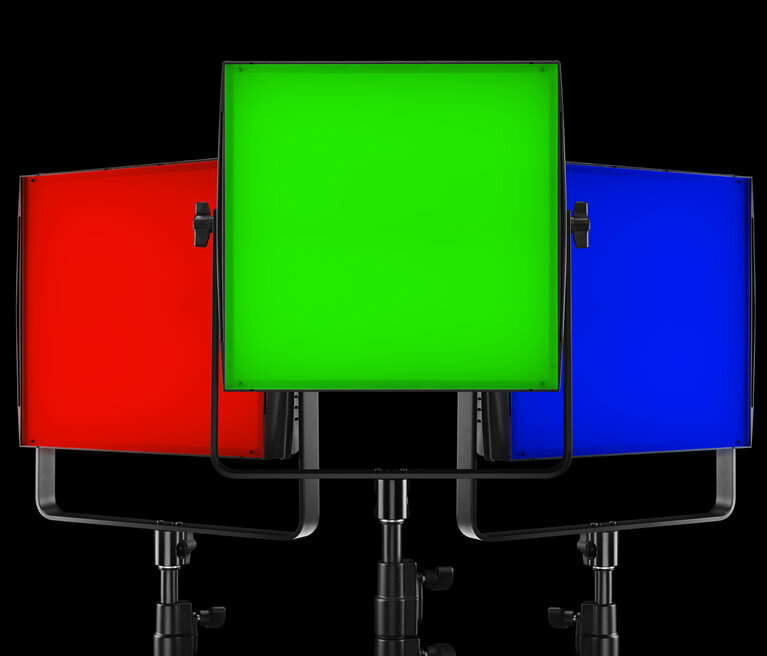 Moreover, with the Full Color (RGBW) technology you can choose among a variety of colours for your set and creation of your content. 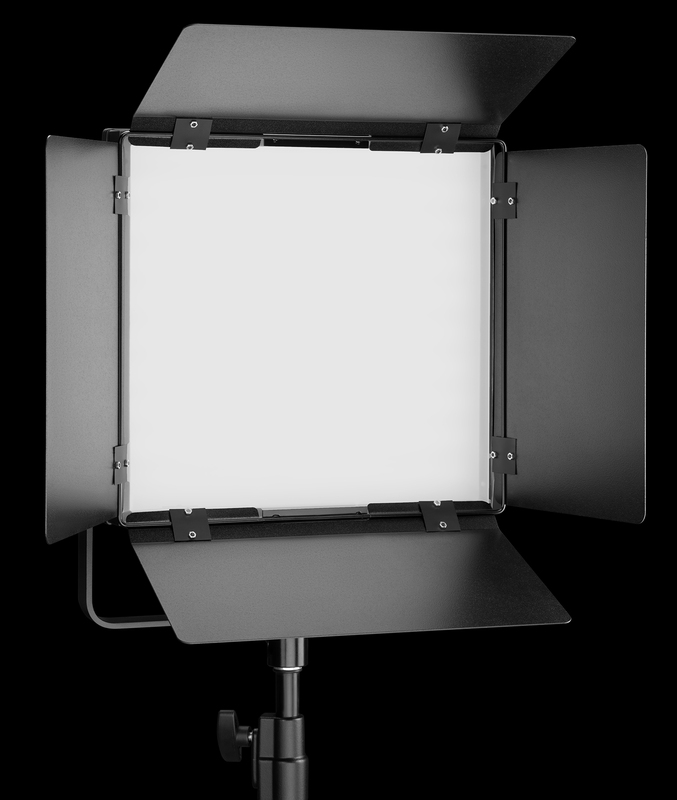 At last you will have a LED panel with a high power and incredible light quality that is also super convenient to use in studio and on set outside. You will not have external ballasts or heavy battery packs to carry or connect, but just a single, easy to carry and compact solution. The menu to select the various functions and special effects is intuitive and ensures a use that enhances your creativity. 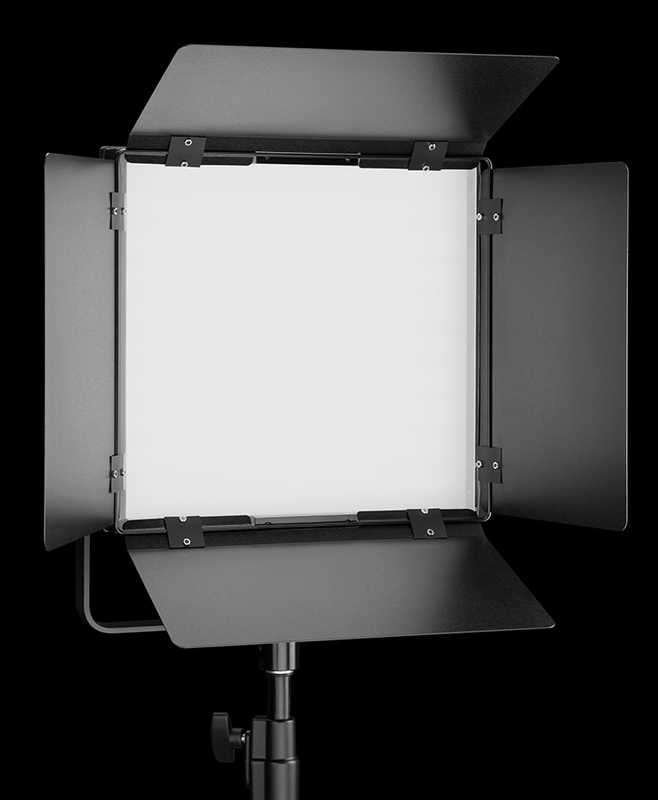 The Superpanel Full Color 30 has all the functions and features that you want in a professional RGBW LED fixture but it is much more simple to use than other similar products of the same category. 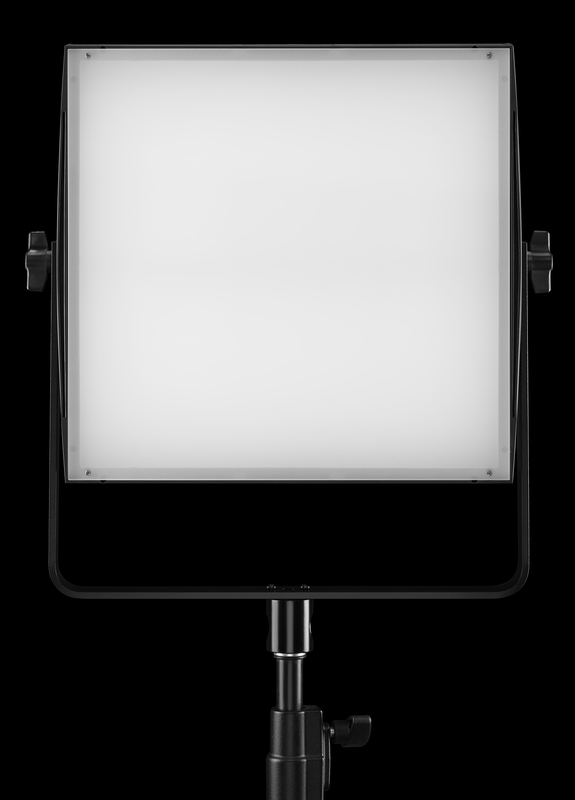 We’ve been working hard to create an easy and intuitive menu with clear settings that will save your time on the set. 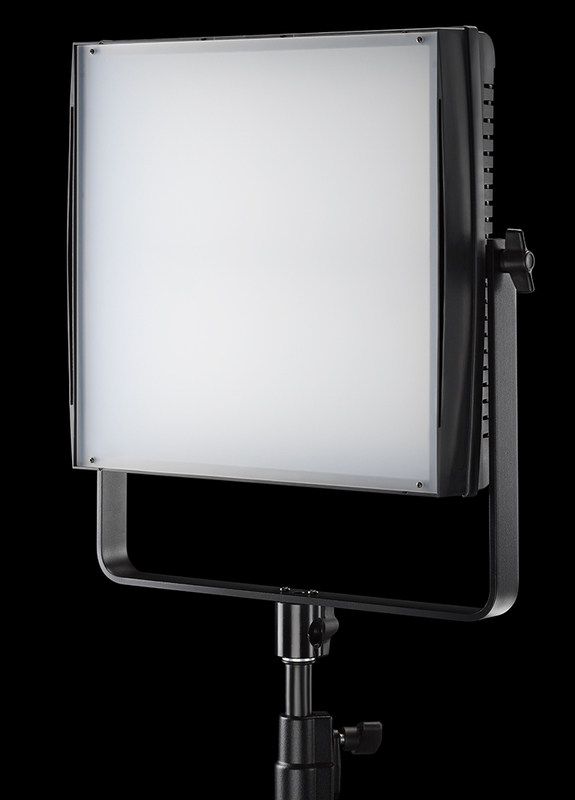 The digital display on the back of the Superpanel Full Colour 30 allows to simply and immediately visualize the settings for intensity, colour temperature, colour mode, green/magenta adjustments, dimmer curves, special effects and DMX channels. All functions have been developed to make your experience easier. Wherever you are. 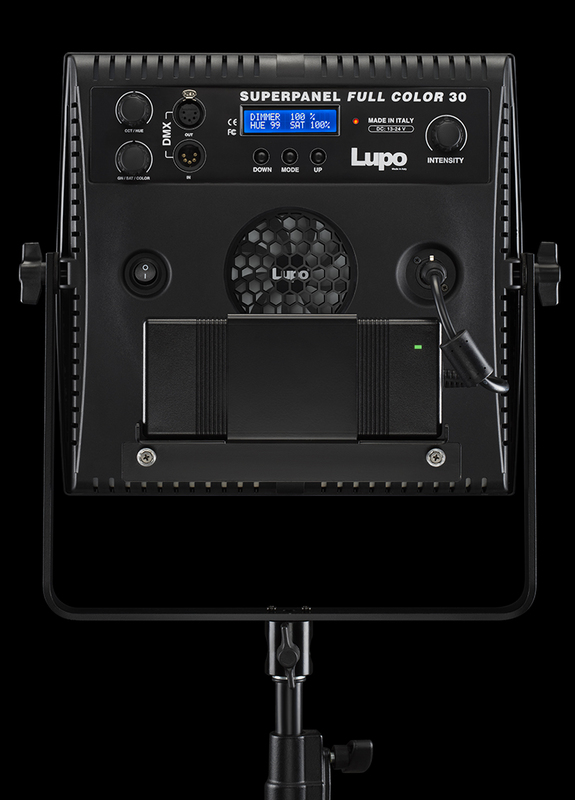 The Superpanel Full Colour 30 can easily be powered with Lupo or equivalent lithium batteries (DC supply from 14.8 V to 24 V). This feature makes it one of a kind and allows you to have a LED panel with RGBW technology that is truly transportable and quickly usable anywhere you want. 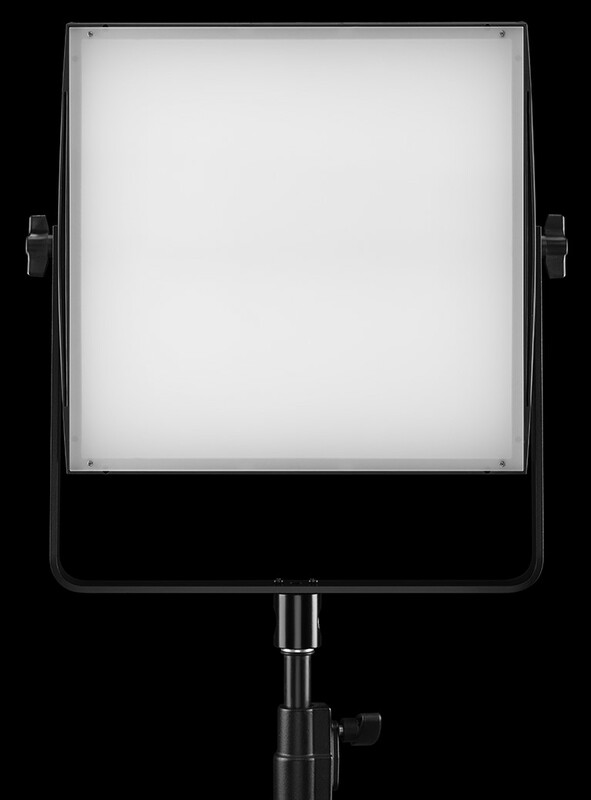 Available in the version with pole bracket. 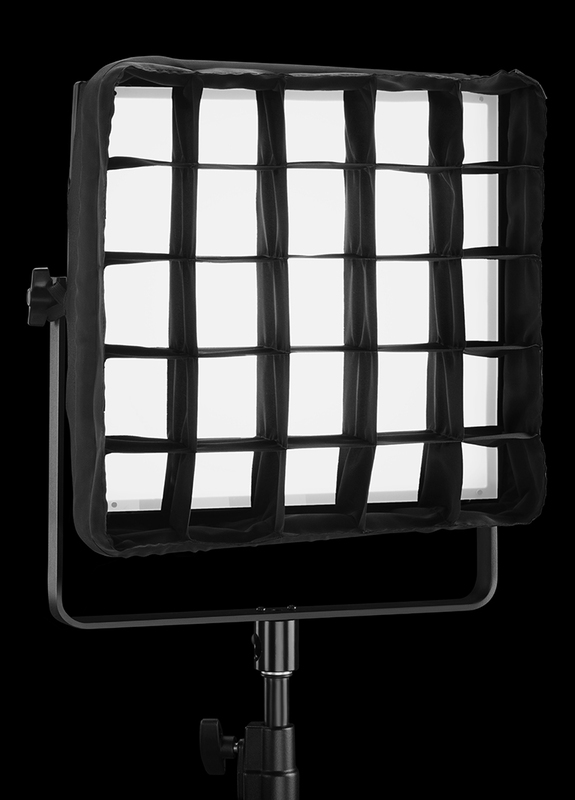 All Lupo lighting products are available with a pole bracket for use in television studios of all sizes. The operation of the Superpanel pole bracket is simple, effective and reliable over time. All models with pole brackets are supplied with a 28 mm spigot. 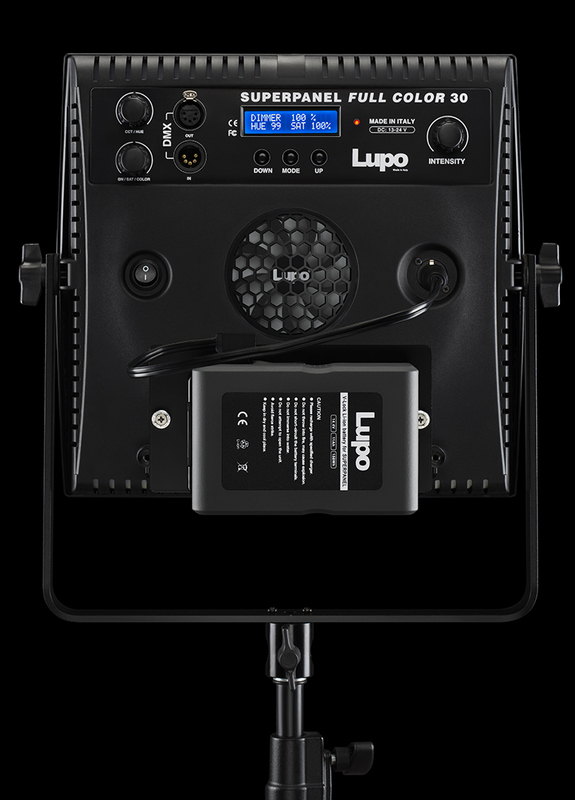 All Lupo products are compatible with a wide range of accessories: batteries, v-locks, battery chargers, softboxes, carrying cases, tripods and clamps. By clicking on the link below you can see the full range of accessories for the Superpanel Full Color 30.